‘Life is what you make it’; a phrase that commands us to accept our ills and misfortune and to overcome them with effort and a strong will, with the knowledge that we are more likely to prosper in the end, if we put plenty in to begin with. As one of the most common clichés in everyday life, it is something we should all, perhaps, aspire to. At the Old Peacock it is an ethos we have taken on board in the last couple of years, and over at Elland Road, it is a notion Leeds United could certainly put into practice. You could substitute ‘life is what you make it’ for another phrase that translates as, essentially, ‘you get out what you put in’, and that is ‘thinking big’. We have been thinking big at the Old Peacock, in terms of how we can serve our core customers better. On Leeds United matchdays, the main feedback we used to get was that fans couldn’t get served quick enough. Everybody loved the Ossett Brewery refurbishment of 2013, the Leeds United-themed wallpaper, the stained-glass peacock and the ornate, tiled floor motif, the new range of beers offered lots more variety and the quality of the food was like nothing LS11 had seen before; the Old Peacock had never looked so comfortable and resplendent in its surroundings. But that counts for nothing if Leeds fans can’t get served quick enough on a Saturday afternoon. Word spreads, mud sticks and everybody knows that the Old Peacock is a football pub innately associated with Leeds United, bequeathed through generations of fans and with more history and local standing than Don Revie, John Charles and Billy Bremner put together. Well, sort of, anyway. So we invested in the matchday marquee last summer to provide another bar for our thirsty customers on Leeds United matchdays, to ensure they could get served quicker and easier and to make the whole experience much more pleasant. The feedback we have received has been great, and we have permission to keep the marquee open again for the 2016/17 season. Over the road, Leeds United are commencing what feels like yet another pivotal season. With each campaign that ends in the thick, disorientating fog of mid-table, and with a list of unanswered questions longer than the Dead Sea Scrolls, Leeds United’s fanbase loses a little bit more memory of what the club could and should be. Of course, Leeds United are currently what they deserve to be, a mid-table Championship club. But as each season passes and Leeds remain stuck in a quagmire with seemingly nobody willing to pull them out, it is easy to forget what once was, and what kind of a football club we are supporting. History counts for nothing on the pitch, obviously, but it is more about potential, and understanding what Leeds United could become, very easily, if everyone was on the same page and working to the same goal. Financial realities dictate that Leeds are currently operating with skeleton staff across the board, and are fishing in the freebies and loan market for players, while the clubs showing bona fide brawn and who appear to be a shoo-in for the top six places in the Championship, are spending tens of millions bolstering their squad with known quality. Clearly, Leeds United need investment in order to truly compete at that level, but in order to be big, you firstly need to think big. Leeds United needs to ‘believe’ it can be that football club again, and go about its business with that mentality. In Garry Monk, Leeds have a very capable head coach who I expect is in line with that thinking, and who has the qualities to work at both the level Leeds United are at now, and the level Leeds United should aspire to reach. 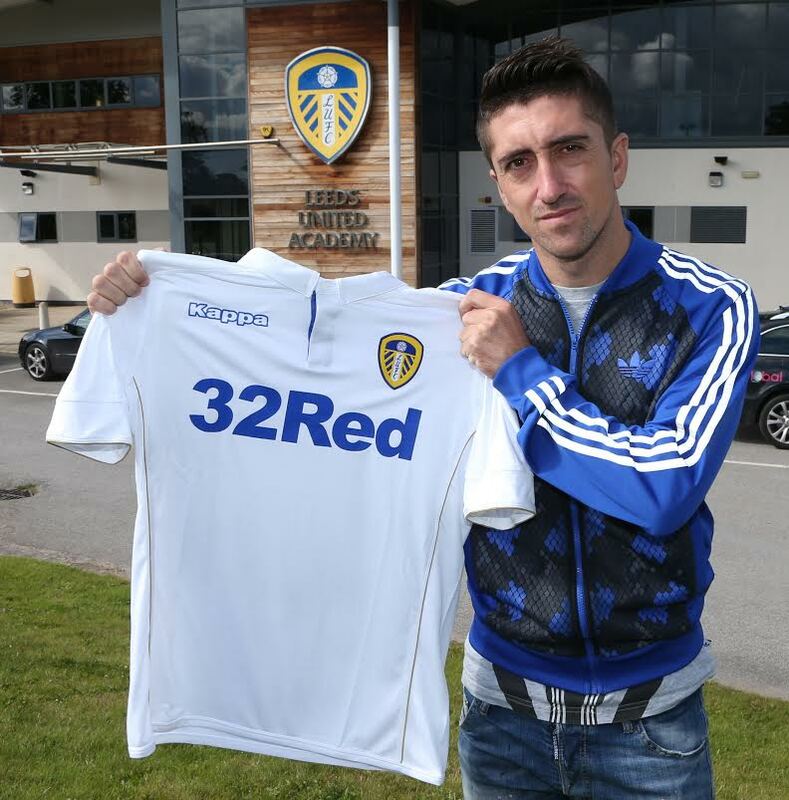 Maybe the signing of Pablo Hernandez is the first sign that Leeds United are thinking big again? But we should remember that thinking big is not just attracting 30,000 crowds for the first and last home games of the season and being content to tread water in the meantime, it is feeding off this potential and working in between to achieve 30,000 crowds every week, with commercial activities, solid infrastructure, and most of all, quality and results on the pitch. From there, the rest will take care of itself, we know this to be true. But the last five years, if not more, have seen little evidence of Leeds United truly realising their potential, and seemingly accepting their fate; that the football world has changed too much in the 12 years they have been absent from the Premier League. It has, of course, but plenty of other clubs – Watford, Hull, Bournemouth, Burnley, Swansea etc, etc – have shown what is possible by ‘thinking big’. Back at the Old Peacock, we might not have the same ultimate goal as Leeds United, but we have realised our potential, and made the most of what we have got. We could have rested on our laurels, but we understand that there is always more we can do to satisfy our customers, and to make that precious matchday experience even better. For the new 2016/17 season we have introduced a four-pint pitcher; a bulk purchase, a supersize-me offering and a positive step-change which will mean less trips to the bar, less frustration and more time for chatting, drinking and soaking in the unique atmosphere. The four-pint pitcher is available for lagers, ales and cider and is another key investment in a matchday programme that requires a lot of planning and a lot of hard work. It might not always be seamless, we may experience our ups and downs, just like Leeds United, but we are always working hard to deliver, and at least with the four-pint pitcher, we are ‘thinking big’. We are looking forward to welcoming you back to the pub for Saturday’s first home game against Birmingham City, when a 30,000 crowd is expected, and again on Tuesday when Fulham are the visitors. Unfortunately that’s it for home games in August, with the next scheduled Elland Road occasion being the September 10th visit of Huddersfield Town. Before that, we have our August Bank Holiday Family Fun Day on Sunday August 28th. This is always well-attended by our regulars and it would be great to see more and more visitors, for the competitions, kids games and our famous barbecue. You will be hearing a bit more about that in the forthcoming weeks through our social media channels on Twitter, Facebook and Instagram, so stay tuned. In the meantime, we can’t wait to see you in the pub during August, enjoy the four-pint pitchers and most all, keep thinking big!